Alongside the boosted stake in Apple, Berkshire Hathaway dumped 94.5 percent of its IBM holdings over the three months ending 2017, reports CNBC. If the fund still owns its recently reported Apple holdings, the 165.3 million shares are worth about $27.7 billion at the end of trading on Wednesday. Buffett has steadily increased his stake in Apple after taking a first bite in 2016 worth $1 billion. At the end of that year, Berkshire's position moved up to 57.4 million shares worth some $6.64 billion, but that figure quickly jumped to 133 million shares worth $17 billion as of last February. 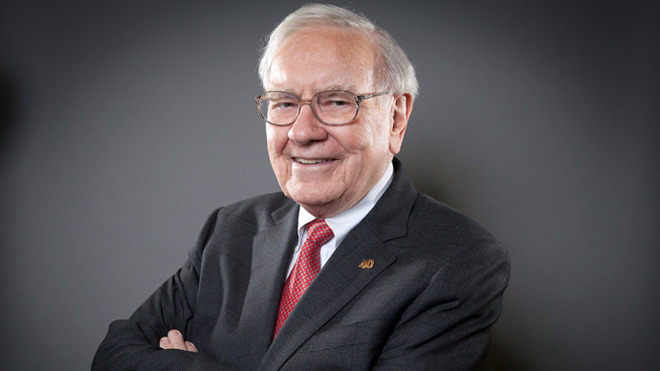 Though Buffett initially shied away from tech sector stocks, mostly due to inherent volatility, the Oracle of Omaha has modified his investing pattern to accommodate certain big-name players including Apple and IBM. The latter has failed to impress, however, as seen by Berkshire's recently diminished position. The investor has lauded Apple's "sticky" product offering and zealous customer base, noting a device like iPhone is a "valuable product to people that build their lives around." "I can very easily determine the competitive position of Apple now and who's trying to chase them and how easy it is to chase them," Buffett said in an interview last year.